Mommy Lessons 101: Easter Fun: Peep Wars! When my husband first told me about "peep wars" he used to have at Easter time, it was a foreign concept to me. I grew up with mostly sisters, and we just didn't play the same way that brothers do. But now that I am a mom of two boys, I know that they never turn down an opportunity to have a little friendly competition. So now we let our boys do their own "peep wars" with our candy peeps that we get at Easter time. 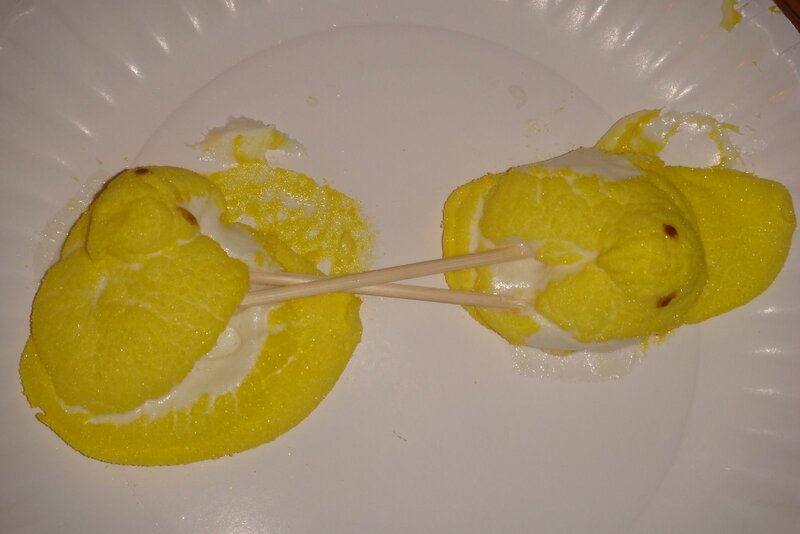 To play, each competitor places a toothpick "sword" in the front of his peep. 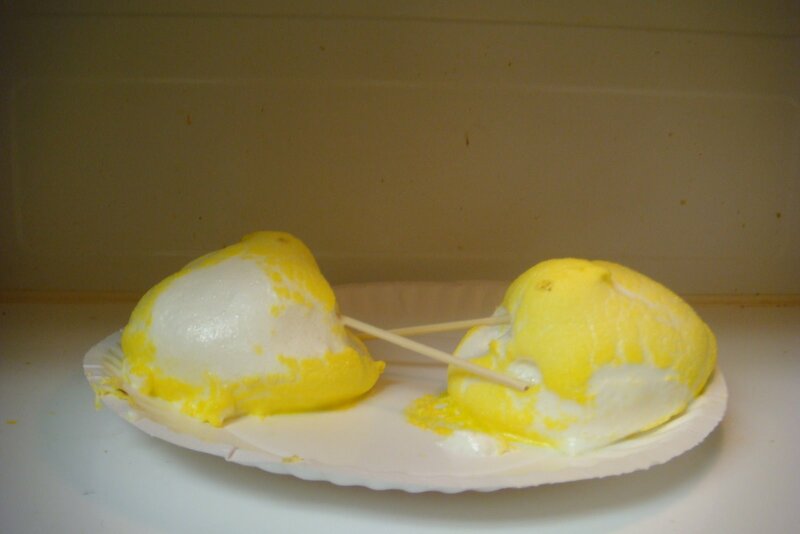 You then place the peeps facing each other on a plate and microwave the peep for thirty seconds. 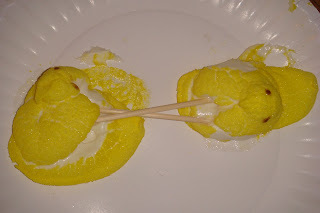 The marshmallows expand, and the winner is the one with the peep that is speared the least or the peep that remains the most intact and upright at the end. (Judging is very subjective). Has anyone else heard of "peep wars" or this something bizarre that my husband's family made up? What other silly or fun Easter traditions do you have? Don't forget to check out all of our Easter ideas here!